If you've got a thing for camping, book yourself a stay in Camp Fever — a camp area that is located near Ananthagiri Waterfalls in Araku. Catch the views of hills, jungle, and river from the site. Wake up to the sound of the gushing river and watch the sun rise over the sprawling green hills from this campsite. 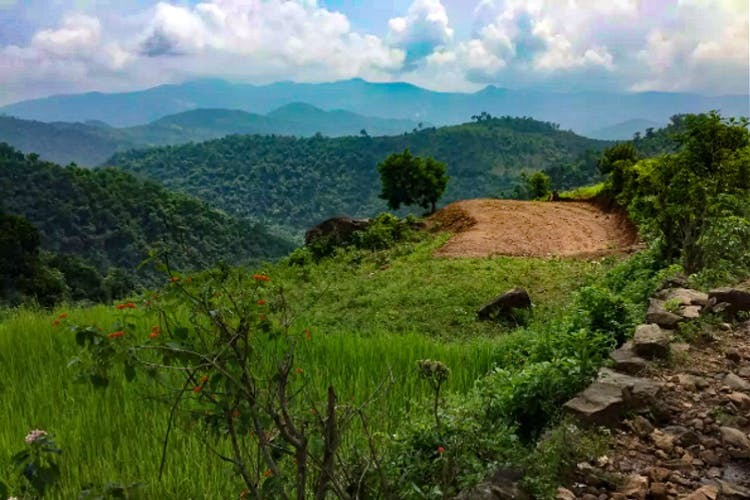 Located by the river, this stay in Araku is popular for its activities that include trekking, hiking. At the moment, they have 12 camps, and you're given a choice of different locations to pitch your tent. Chill by the pool or lounge by the indoor fireplace, and then play MasterChef in the kitchen. If you're not interested in cooking, they provide meals at an extra cost. Hike to the waterfall and unwind like a boss or visit the Borra Caves that is located just 4km away. Reach the site by 3pm and explore the jungle before the sunset. Whether you're a solo traveller or traveling with a group, these camps are perfect. Plus, they provide all the basic amenities like sleeping bags, torches, solar lanterns, towels, and bedsheets. It's a little overpriced for the facilities they offer.